Summer is officially here, and the temperatures are starting to rise. 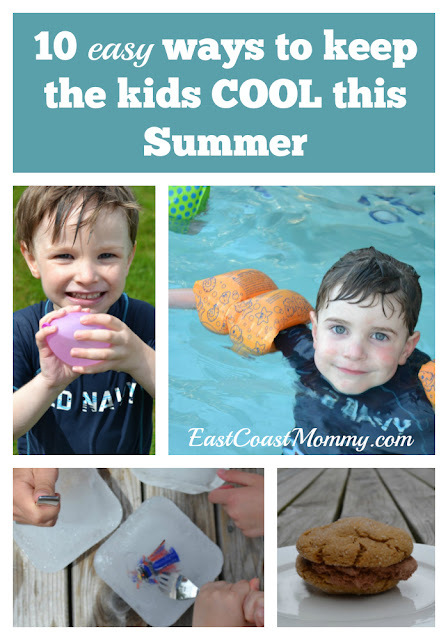 Keeping the kids cool when it when it's hot outside can be a challenge, but it can also be a lot of fun. 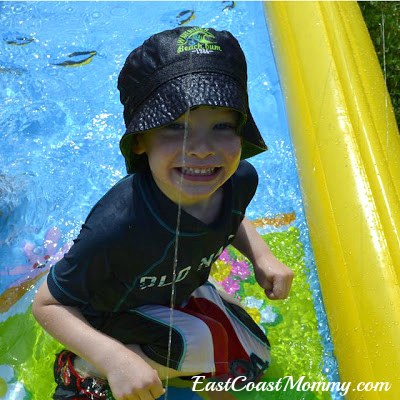 Today I am sharing 10 easy ways to keep the kids cool this summer. 2) Water fight - Fill a bucket or splash pool with water (so that it can be used as a re-filling station), and give everyone water pumps or guns. Set the rules (like no squirting in the face), and let the battle begin! 3) Spray bottle full of water - Purchase inexpensive spray bottles at the dollar store, and fill them with cold water (on its own or with a little ice). 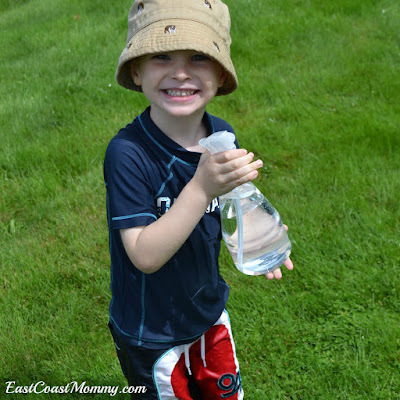 The cool, gentle mist from a spray bottle can be extremely refreshing on a warm day. This is a fantastic tool any time, but I love it for when you are sitting under a tree reading a book or when you are spending time at a beach or sporting event. 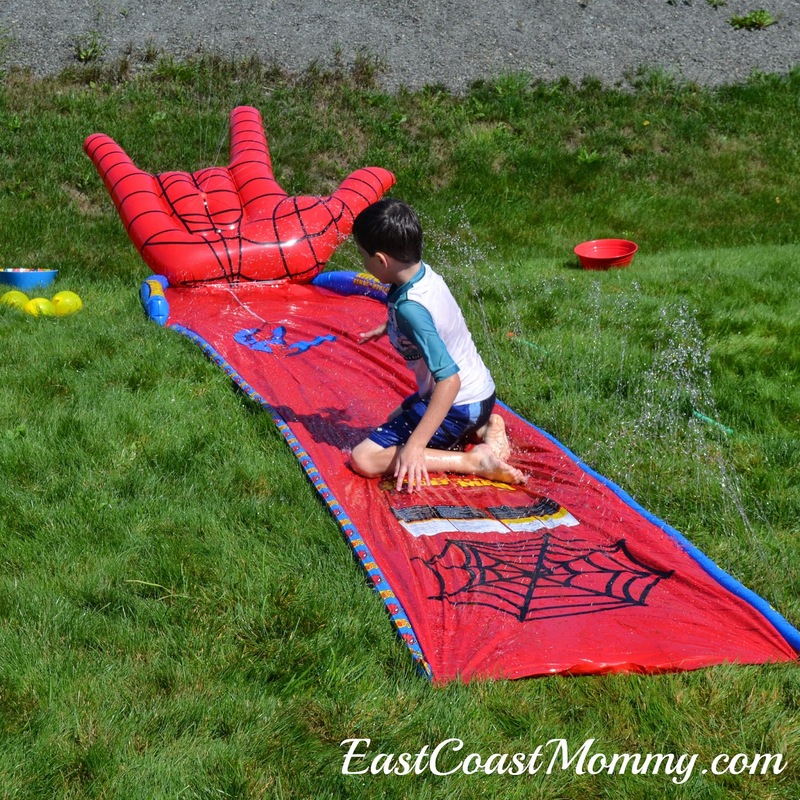 5) Slip n slide - Every kid needs a slip n slide. I had one when I was a kid, and my boys love theirs. 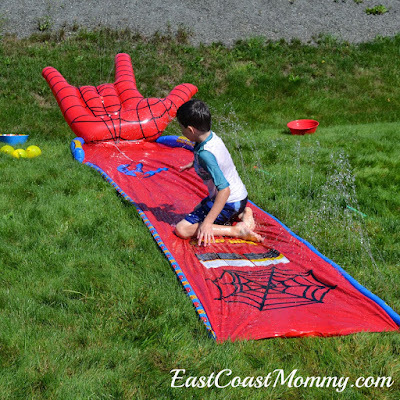 They are inexpensive, fun, and a wonderful way to spend a warm afternoon. 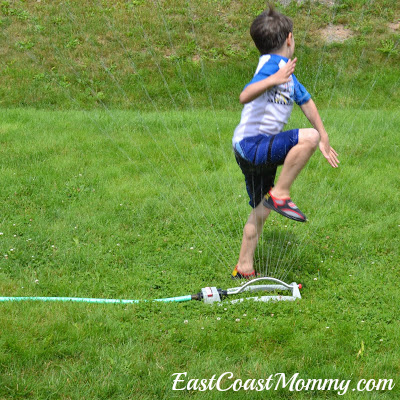 6) Sprinkler - Running through a sprinkler is a childhood right of passage. It is a super-simple way to have fun and cool off on a warm day. 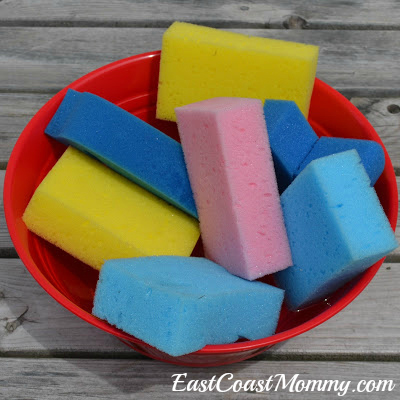 7) Sponges - Purchase a package of sponges at the dollar store for a super-easy way to keep cool. 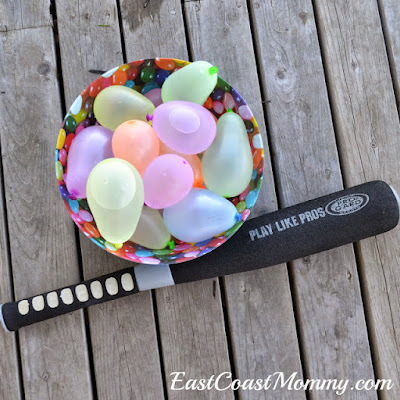 Sponges soaked in water become perfect (and painless) water fight weapons. You can also use the sponges to play "drip drip drop". (All the kids sit in a circle, and one child walks around the circle with a sponge, while saying, "drip drip drop". The child with the sponge says "drop" and squeezes the water from the sponge over someone's head. The two kids then race around the circle, in opposite directions, and both kids try to be the first person back to the original spot.) Fun, right??? 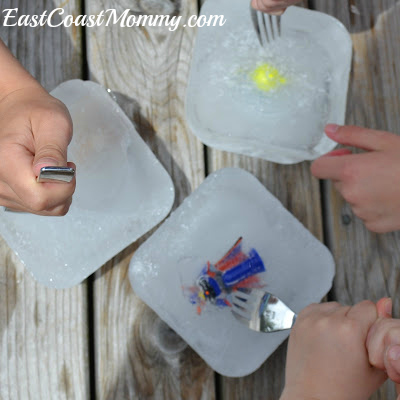 8) Ice - Freeze a few small items in blocks of ice, and let your kids try to get them out. Forks and cups of warm water make good tools for this activity. 9) Ice Cream - You can't beat cool treats on a warm day. 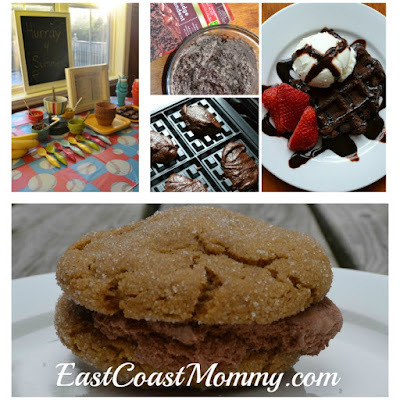 My boys LOVE brownie waffle sundaes and homemade ice cream sandwiches. You can find some of our favorite ice cream recipes here. 10) Cool bath - After a long day in the sun, a cool bath (filled with glow sticks) is refreshing and fun. A good night's sleep is sure to follow too! 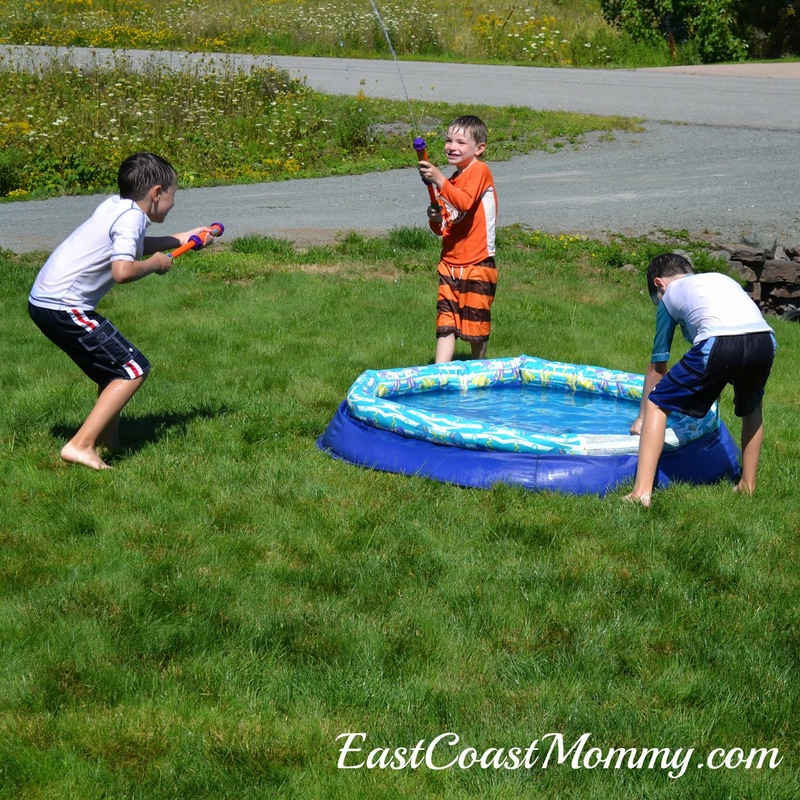 How do you keep cool when the temperatures start to rise? 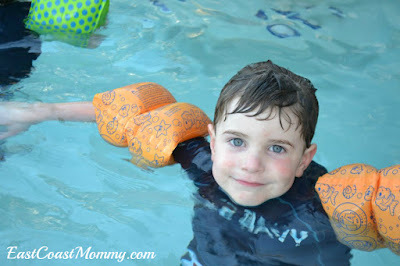 I hope you try some of my ideas, and have a fantastic summer with your kids. Enjoy!